3 Coolest Surf Shops in the U.S. There are thousands of surf shops throughout the United States, and it can be hard to pick where to do your shopping. Which one is the best? We’re going to look at the top 3 coolest and most unique surf shops in the U.S. 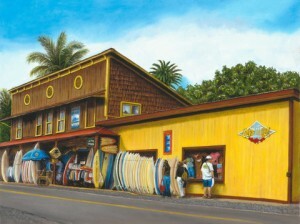 Built in 1921 and operating nonstop since 1965, Surf & Sea lays claim to being Hawaii’s oldest ‘Surf and Dive’ shop. Located on Hawaii’s renowned ‘7 Mile Beach’, Surf N Sea has been called the most comprehensive surf shop in Haleiwa because it has everything you could need. They have a huge selection of surfboards, clothing, accessories, and diving gear. They even offer daily rentals for surfboards, paddle boards, kayaks, snorkeling gear, wet suits, and so much more. It’s a one-stop shop! Hansen’s Surf Shop is the largest surf shop in San Diego. Their 16,000 square foot store carries over 700 surfboards, including both Hansen’s customized surfboards and a selection from many other brands and manufacturers. They are a family run business. Hansen’s offers something for EVERYONE in the family, both young and old. They’ve got apparel, beach accessories, surf gear, snow gear, skate gear and even home decor! And if that’s not enough for you, they also have one of the greatest selections of sandals on the West Coast with over 6,000 pairs of sandals in stock year-round! With all the variety they offer, it’s not hard to see why they have so many long-term, loyal customers, making Hansen’s one of the most successful surf shops in California! Corolla Surf Shop is much like Surf N Sea, as they offer surf lessons for people at all levels. They offer introductory classes, focusing on the fundamentals of surfing: water safety, paddling, catching a wave, popping-up (standing up), and balance. They also offer Advanced Beginner, Private/Semi-Private lessons (if you are looking for a more one-on-one type of lesson), Surf Safari, paddle-boarding lessons, and Special Attention lessons. These are for people of all ages and cater to any special needs you might have. They’re also ideal if you’d like a smaller setting for your lessons where your family and friends can attend as well. They also offer daily and weekly rentals for surfboards, body boards, stand up paddle boards, skim boards, wet suits and kayaks. Their store has a large selection of apparel for men, women, and children, as well as gear and equipment, stickers, surf accessories and even ukuleles. 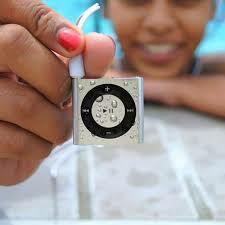 No matter where you decide to shop, one thing will definitely come in handy: a waterproof iPod! It’s one of the most useful accessories there is, and you can use it whether you’re surfing, swimming, kayaking, or whatever else strikes your fancy. After all, what is a day in the sun, sand, and waves, if you can’t listen to your favorite music? You can head over to Underwater Audio’s store and pick up one today! Then you’ll be ready to face the waves! What are some of your favorite surf shops and brands? Let us know in the comment section below.